Are you engaged in conflict with your employer, your former employer, or your employer’s insurer over a denied long-term disability benefits claim? As an employee, you have followed the rules. You expect policy terms to be honored now that you face long-term disability due to an illness, accident, or a chronic condition that prevents you from performing on the job and making a living. We at the office of Alan C. Olson & Associates are attorneys for employee rights ready to assist you and protect your long-term disability compensation rights. Our Milwaukee area discrimination and harassment attorneys offer free initial phone consultations to Wisconsin employees. 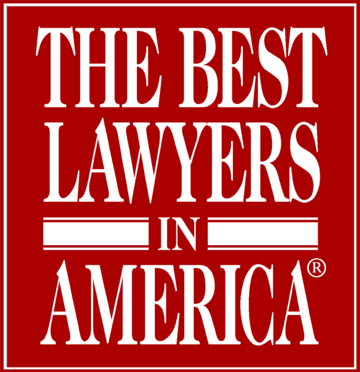 Contact us through this website or call our firm at 888-843-1261 or 262-785-9606. Long-term disability (LTD) insurance is designed to protect workers in the event they become disabled prior to retirement. Many LTD policies are offered through employers as part of a standard benefits package, while others are purchased directly from insurance companies. Unfortunately, LTD insurers do not always pay the benefits to which claimants are entitled. At Alan C. Olson & Associates, our attorneys help disabled people stand up to insurance companies and fight wrongful denials of long-term disability benefits. We have successfully fought denials by numerous national insurers such as UnumProvident companies, Prudential, The Hartford, CAN, Liberty, MetLife, CIGNA, Reliance Standard, and others. Conditions such as chronic fatigue, lupus, fibromyalgia, chronic pain, and immune dysfunction syndrome (CFIDS) can be difficult to get through the benefits application process; insurance companies are reluctant to pay benefits for a condition that can be hard to prove through objective findings on X-rays, MRIs or other diagnostic tests. At Alan C. Olson & Associates, we are experienced with disability caused by conditions such as chronic pain and chronic fatigue. If you suffer from an injury or condition where the insurer has denied benefits due to a lack of objective evidence, we know how to help you get the benefits you deserve. If your long-term disability benefits claim has been denied for questionable reasons, we will look for evidence of insurance bad faith, which may point to a systematic denial of all claims, both legitimate and illegitimate. If your insurer rejected your doctor’s diagnosis, forced you to see an insurer-friendly doctor, canceled your insurance coverage retroactively, or otherwise acted in bad faith in denying or delaying your ERISA or non-ERISA claim, we can help. You can fight a denial of benefits and win, but you need an attorney as early as possible to help you with your long-term disability case. Your attorney should be experienced in litigating disability income insurance claims and, if your insurance is through your employer, that attorney should understand how ERISA impacts this type of federal case. Before applying for disability benefits, claimants should obtain a complete copy of their insurance policies, including the definition of disability section, and review it carefully to make certain their claims meet the plan’s requirements and definitions. Share this definition with your doctor so that he or she can adequately describe your disability prior to your filing a claim. Please contact us today for assistance with your application for disability or questions about a denial or termination. We can help.